Mick Jenkins is a masterful technician, but Wave[s] lacks a vital push into the mainstream. Mick Jenkins is every high school English teacher’s favorite rapper (save, of course, for the aptly-named Honors English). His music relies heavily on motifs – first, trees on Trees & Truths, and now, water, on last year’s The Water[s] and his newest release Wave[s]. Classes can be imagined discussing his drenching usage of water as easily as what the letter “A” stands for in The Scarlet Letter or the prevalence of Christ figures in popular literature. He’s a writer in the truest sense of the word, but that same quality also reflected the shortcomings on his previous releases. Finding the pocket where English teachers, hip-hop purists, and casual listeners alike gulp down his offerings is a journey Mick Jenkins is still undertaking. Opener “Alchemy” might be his most accomplished step on that journey yet. The beat sounds warped and waterlogged, and he doesn’t shy away from continuing the water theme by claiming he “Flooded the market”. It’s no coincidence why the song, after a masterfully technical verse punctuated by his powerful baritone a la fellow Chicagoan Lil Bibby, he ends on a meta note: “They say I be talking about water too much. You hear that? Ha ha! That’s how many fucks I could give!” When discussing water, he sounds, for lack of a better word, hydrated compared to his other tracks. This becomes his Achilles heel on Wave[s], just like on The Water[s]. The following track, “Slumber”, sounds like an Acid Rap outtake, albeit without Chance’s infectious flow skipping all around the staccato jazz drums. He implores “Wake up, wake up, wake up”, while lacking the urgency needed to turn the trite hook into an anthem. But this is to be expected from Jenkins – in an interview last year, he said, “I cannot fathom why people are sheep to the radio.” This stance manifests itself in his music, with many of the songs on Wave[s] having odd song structures that slog until the verses come with run-of-the-mill hooks and bridges. While the radio-friendly “Your Love” interpolates a Lupe Fiasco hook, the Kaytranada-produced track succeeds in its hook’s numbingly repetitive latter stage. The EP’s final three songs, however, showcase what Mick Jenkins could become. The creeping “40 Below” is structure experimentation’s most successful effort on Wave[s], with the forlorn “How she got so cold” reminiscent of Kanye West’s 808s. “P’s & Q’s” is an exercise is technical precision, where Mick sought out the perfect literary device to use for the express purpose of showing off. He chose the repetition of words beginning with “p” and “q”, opting heavily for the former. The song works on the level of seeking to impress, but its replay value is dubious. “Perception”, the EP’s closer, serves as a thesis statement for his unique brand of conscious-influenced rap. With another too-long hook, the internal rhymes interspersed throughout the verse accompany one of the best flows of the tape, allowing long-term fans to add favorite song to the collection. 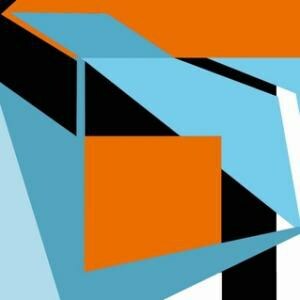 On Wave[s], Mick Jenkins, whether consciously or otherwise, created a polished body of work with radio-ready potential. He’s still struggled at times with eclectic song structures and the crafting of elite-level hooks, but as a writer, Jenkins stands tall with the best of them. Hip-hop can be won in numerous ways, and being a master technician has its own merits. Looking to break into the stratosphere of those like Kendrick Lamar, whose prodigious technical skills invaded the mainstream, however, should be his next goal.